Nassim Nicholas Taleb is one of the foremost thinkers of the modern age, a guy who can change the way you think about the world with almost every book he’s ever written. Because he has had his fair share of meaningful experience; because he has taken the risks – losing some, but winning as well; in a word, because he has had his skin in the game. Who Should Read “Skin in the Game”? And Why? Even in a world of so many things happening, there are few intellectuals so influential that each of their books or speeches is an event. Think Steven Pinker, Sam Harris, Yuval Noah Harari, Malcolm Gladwell… Nassim Nicholas Taleb is certainly part of this very rare group. Though, to be fair to him, he feels as if he’s in an even rarer. “Skin in the Game” was published on February 27, 2018 – and it’s already (we’re writing this summary barely a month later) – sold out in most of the bookstores around you! To say that it’s a book which will interest mostly economists and risk analysts would be an understatement. Just as it would be to say that people interested in sociology and social psychology will have a ball! 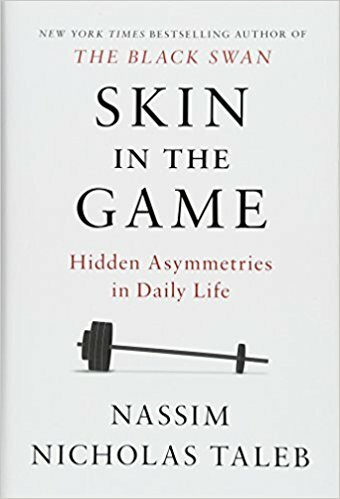 Just like every other work by Taleb, “Skin in the Game” is a book everyone should have a look at. And a book very few will regret buying. Nassim Nicholas Taleb is a Lebanese-American scholar and essayist, Distinguished Professor of Risk Engineering at the New York University Tandon School of Engineering and one of the best-known, most profoundly beloved, and universally respected nonfiction authors. 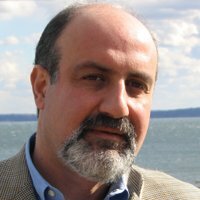 A polyglot, Taleb earned bachelor and master of science degrees from the University of Paris before earning an MBA at the University of Pennsylvania, and a Ph.D. in Management Science from Paris Dauphine University in 1998. He started his professional career as a statistician and trader, before becoming a risk analyst and a published author. “Skin in the Game” joins the series. You may have already heard the story. But, even so, it’s worth repeating. In Shakespeare’s famous play “The Merchant of Venice,” Bassanio, a young Venetian nobleman, asks his friend Antonio for 3,000 ducats so that he can woo a wealthy heiress called Portia. Antonio, the guy with the profession from the title, doesn’t have the money at the moment but tells Bassanio that he can be the guarantor if Bassanio finds someone who’ll lend him the sum. Bassanio finds Shylock, a Jewish moneylender, who agrees to give Bassanio the money on one condition: if Antonio can’t pay him back “the pounds,” Shylock will get a pound of Antonio’s flesh. That, right there, is the literalized version of the phrase “skin in the game.” It means having some part of you at stake; it means risking to lose something yours instead of merely transferring the risks to the others. Now, if you watched the video carefully, you might have noticed that Taleb mentions Hammurabi; and let’s face it, his laws are not actually considered the paragon of democracy today! But, Taleb’s “Skin in the Game,” nevertheless, sees much more justice in some of them than in the laws – or, the lack of them – we have today. Bear with us for a second to see this in practice! 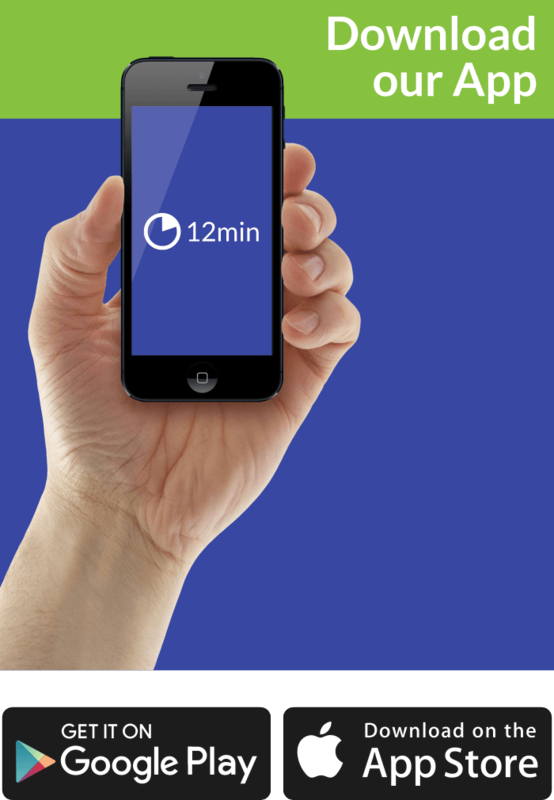 You are a client, and you want to buy some fast stocks and earn some fast money. The trader tells you that he has some which are great for your portfolio and which will undoubtedly gain value very soon. You buy them, of course; sometime later, you lose your initial investment. But, that’s okay – the trader couldn’t have known everything! Win some, lose some – that’s the unofficial rule of the game, right? Well, that’s the problem! It is for you; It’s not for him. Either way, he’s going to get his money. And, as Taleb learned while working for an investment bank himself, what you were told when you bought the stocks was probably absolute nonsense. The trader almost certainly had some surplus and wanted to sell the unwanted shares. And, since he is a seller – he used each and every dirty trick in the book to persuade you and influence your decision. But, then again, we just said: he is a seller. Meaning: he is also a storyteller. Consequently, he has all the right to do that. In other words: he didn’t do anything illegal; it’s the buyer’s fault – he shouldn’t have believed him. Well, you’re partly right – if you live in a WEIRD society! Many other cultures, just like Ancient Babylon did, consider this illegal. And, in order to stop it from happening, their laws are based around grabbing some of the stockbrokers’ skin – and putting in the game as well! Take, for example, the Islamic Shariah law. Taleb says that what they’re doing on Wall Street should be illegal. Because it’s based on the asymmetry of information: the seller knows much more than the buyer. And, what’s more, the seller gets the rewards; the buyer is stuck with the risks. It’s irrelevant if the latter wins as well. What’s relevant is that, unlike him, the former can’t lose anything. Interestingly enough, even though we need Taleb to point it out to us, we already know this on a gut level! That’s why we hate bankers and large corporations and consider Wall Street a den of thieves. Simply put, unlike entrepreneurs (who we think of as role models), they didn’t go all in! Even worse: they earned their money by risking almost nothing at all! And that, even though it’s perfectly legal, is morally wrong. And should be unlawful as well! 3. Oh, the Elaborate Web of Lies We Trap Ourselves Into! If you need to take one – this is the main takeaway from Nassim Taleb’s newest book: social justice should be based on the symmetry of risk and reward. In other words, people who don’t risk – and don’t have skin in the game (or: SITG, for short) – shouldn’t be allowed to reap the rewards. Yes: we’re looking at you, stockbrokers, bankers, sales reps, CEOs, fund managers! How about doing something – with your own money first! (On an interesting side note: here’s a real-life scenario of how should risk/reward symmetry work. When one footballer broke the leg of another, all that he got was a yellow card. A judge decided otherwise: he will be suspended until the injured player is fine and gets back on the field! Many people have advocated against the tyranny of the minority. According to Taleb, however, it’s more ubiquitous than we care to admit. And not that strange. For example, do you know that 70% of the lamb meat in England is processed according to halal standards? And only 4% of the British population are Muslims! Well, for the very same reason that if you have one person in your family who hates GMO, you’ll buy all of your fruits from a non-GMO market! It is the only thing which makes sense! Oh, the Elaborate Web of Lies We Trap Ourselves Into! Smart rich people – says Taleb (and the evidence confirms it) – don’t usually live in large solitary mansions. Because, obviously, everyone would enjoy more in a lively neighborhood! However, agents trick them into buying those houses, because they have much money, and, consequently, can buy something expensive with less risk than you and me. For the same reason, the food in expensive restaurants is – prepare for it! – probably worse than the one in the cheap ones. For one, the latter can’t risk tiny portions. “Skin in the Game” is not Nassim Taleb’s best book – but, it’s certainly his “most provocative and practical” one. His idiosyncratic style – which gives him the opportunity to talk about everything from Kant to Trump – will help you understand complex ideas effortlessly – once again. And maybe – even teach you how you can live a better and juster life! So, we guess there’s no reason to add now that “Skin in the Game” is a must-read. Because, let’s face it, it is from the very moment you notice the name of its author!